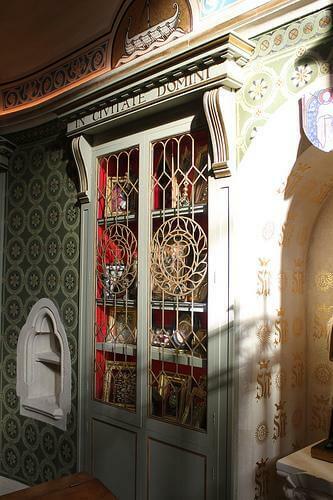 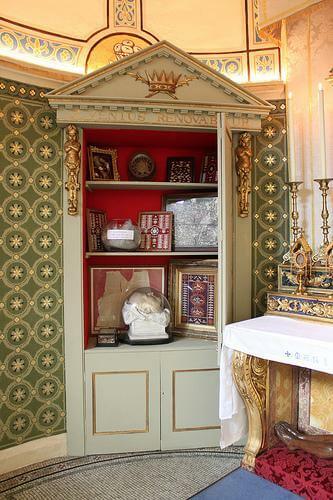 These photographs show the Relic Chapel, which was restored by IFACS during the summer of 2009. 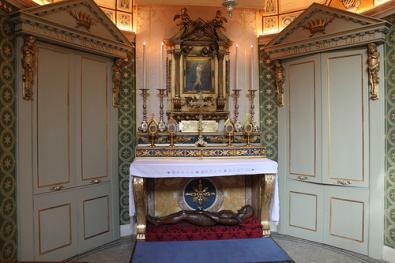 The centrepiece of the chapel is the image of Our Lady of Oxford. 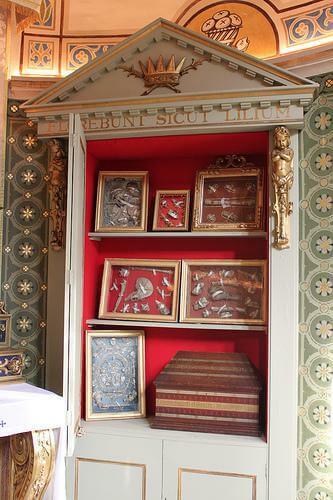 This picture was acquired by Hartwell de la Garde Grissell, along with a large collection of relics, including many autograph letters of various saints, which will be displayed in the Relic Chapel on their feast days. 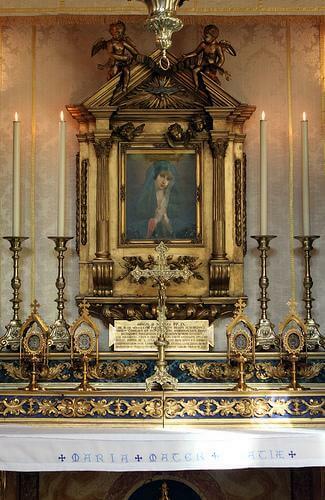 The image of Our Lady of Oxford was blessed by Bd Pope Pius IX, who granted a plenary indulgence for anyone who recited the Litany of Loreto or the Salve Regina before it. 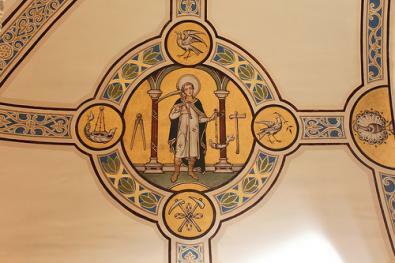 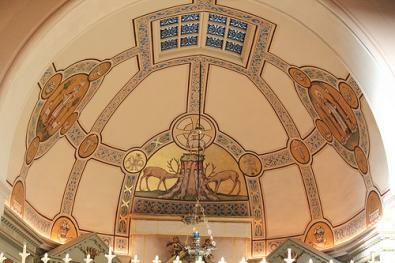 The ceiling of the chapel is decorated with images from the Roman catacombs. 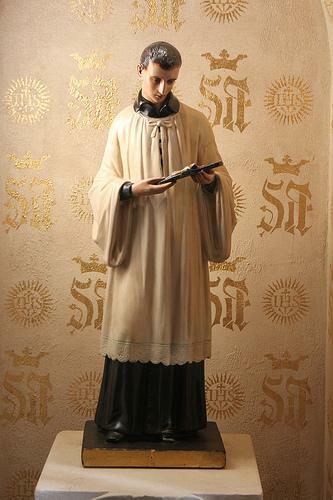 Many of the bones venerated here come from catacomb martyrs. 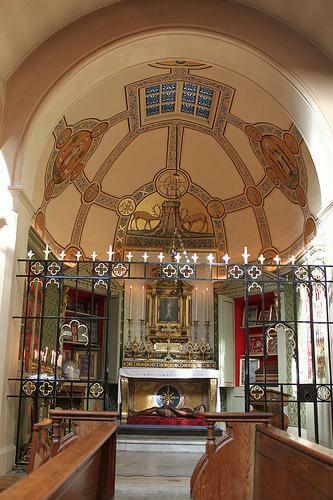 Most of the relics come from the former Carmel at Chichester. 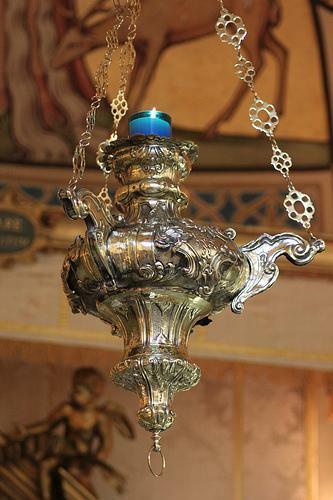 Some are recently acquired, such as the relic of the veil of Blessed Lucy of Narnia which was recently presented to us by the Dean of the Cathedral in Narni. 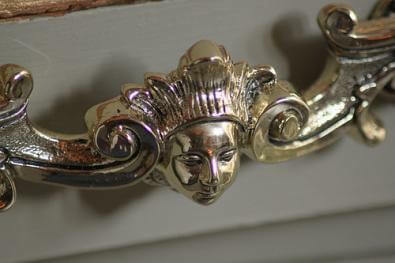 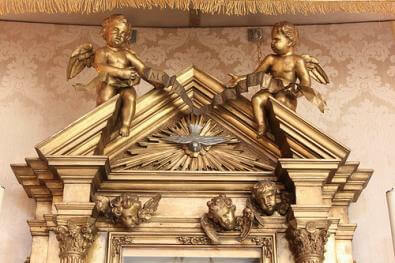 The screen of the chapel has been beautifully gilded, and was the choir grille at Chichester Carmel. 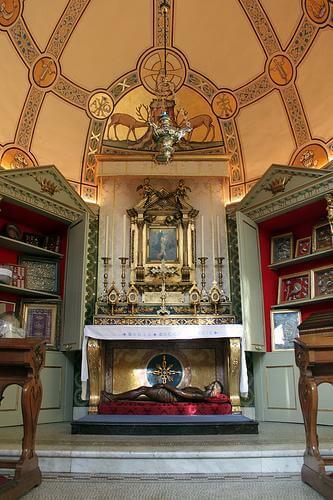 Fr Jerome has written a pamphlet "On Relics" (described in the Tablet as "excellent") which is available from the Porters' Lodge.